"The Klingon Empire is dying...and I think it deserves to die." With those words, Lieutenant Ezri Dax propelled Lieutenant Commander Worf to the most fateful decision of his life -- to vanquish Klingon leader Gowron in honorable combat and install in his place a low-born, one-eyed soldier of the empire who might lead their people back to the path of honor. Under the weighty mantle of chancellor, General Martok led the forces of the empire to victory in the final Allied assault against the Dominion. 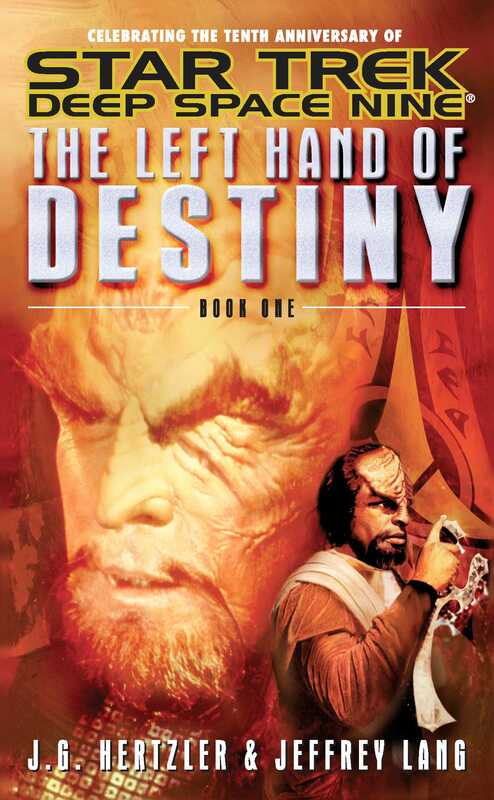 Now, with Worf at his side as the newly appointed Federation ambassador to Qo'noS, Martok at last is coming home, bringing with him the hope of a bright new future for his people. But the new chancellor's triumphant return to the Klingon homeworld is met by treachery and upheaval. As the demons of the general's past rise up, so too does a usurper to the Imperial Throne, one who knows exactly how to crush Martok and all who stand with him -- and who won't be satisfied until they are ashes under the foundation of a new Klingon Empire. Jeffrey Lang has authored or coauthored several Star Trek novels and short stories, including Immortal Coil, Section 31: Abyss, The Left Hand of Destiny, “Foundlings” (in the anthology Prophecy and Change), and “Mirror Eyes” (with Heather Jarman, in the anthology Tales of the Dominion War). He lives in Bala Cynwyd, Pennsylvania, with his partner Helen, his son Andrew, an irascible cat named Samuel and a fearful hamster named Scritchy.